More popsicles! Because it’s hot and because it’s Friday and just because. Can’t stop won’t stop, or whatever the cool kids are saying these days. 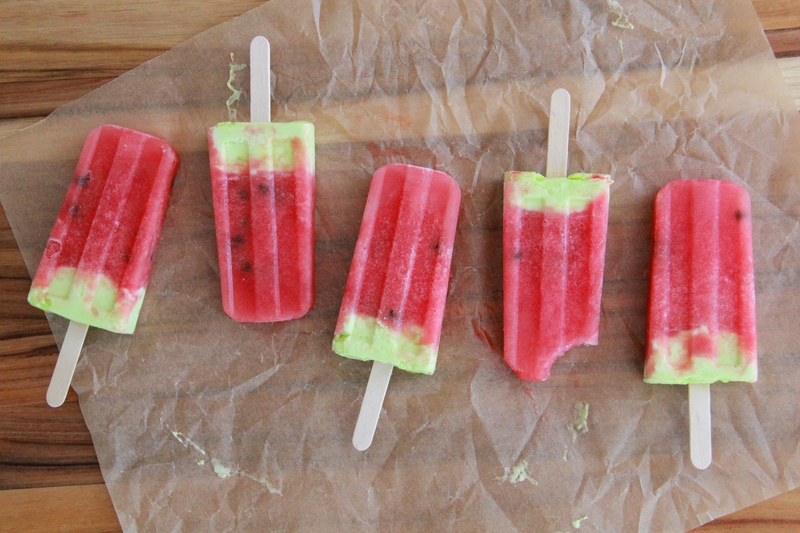 Watermelon-Limesicles! They’re made to look like slices of watermelon, see? With little chocolate chip “seeds” and everything. How annoying am I?? These are easy peasy, though. Just fresh fruit, the greenest lime sherbert, and a bit of time in the freezer. The chocolate chip “seeds” can be optional, even. I made these with my cousin-to-be, Sophia. She’s a doll. If you can find a good, ripe watermelon (one that, you know, tastes like watermelon), there’s no need for any added sugar! If your watermelon is sub-par, you may want to add a bit of simple syrup to the blender, to sweeten the deal. 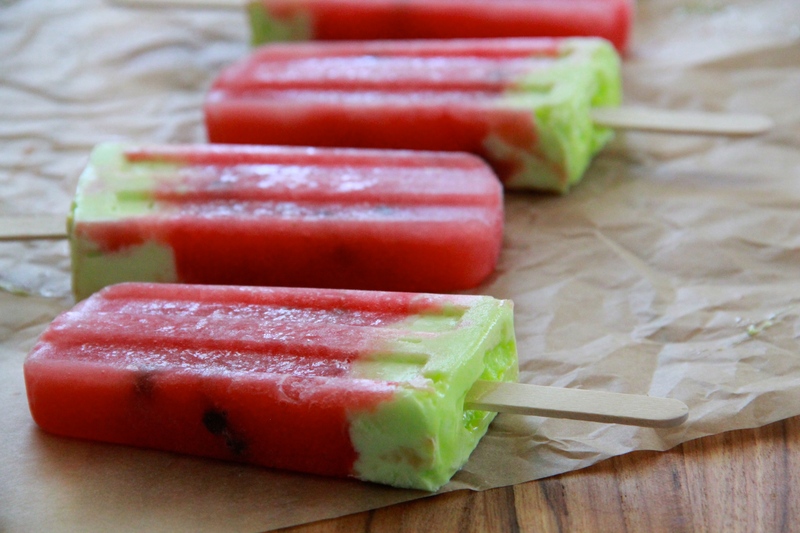 Put the watermelon chunks in a blender, and squeeze the fresh lime juice over it. Blend until smooth. If the melon has lots of seeds, you’ll want to strain the juice into a large measuring cup (mine barely had any, so I skipped this step). 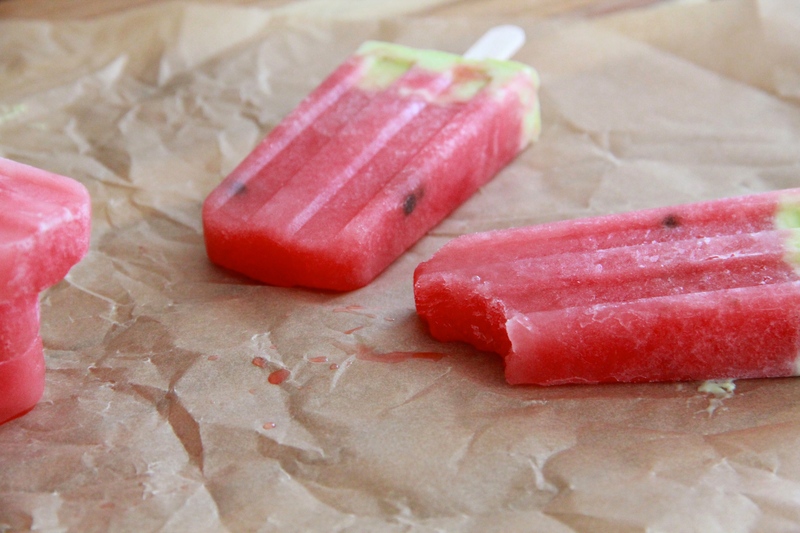 Pour the watermelon juice into your popsicle molds, filling each about 2/3 of the way up. Let the pops set up for about 30 minutes to an hour, until they’re starting to freeze but are still pretty slushy. At this point, stir in the chocolate chips, distributing them evenly between popsicles. Place the pops back in the freezer to harden just slightly, about 30 minutes. Once the watermelon layer is set but not frozen solid, scoop some lime sherbert on top of the watermelon layer, evening it out at the top. 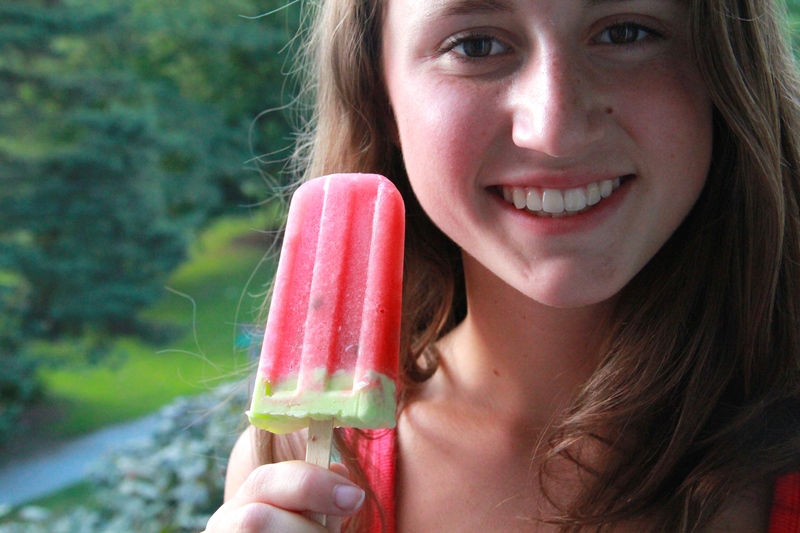 Place popsicle sticks in the molds and allow the pops to fully set up, about 4 hours or overnight. 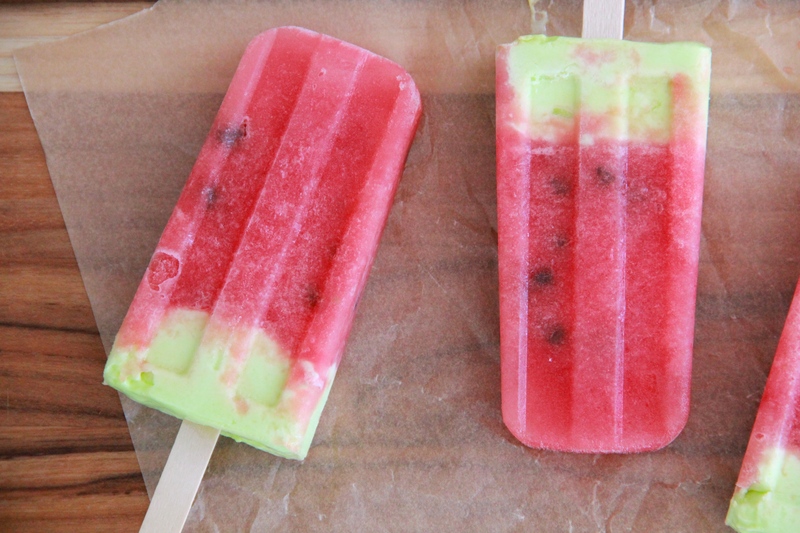 Makes about 12 (3-ounce) popsicles. SHERBIT! …But I think his name is Bert. They’re so cute! Popsicle month? ?